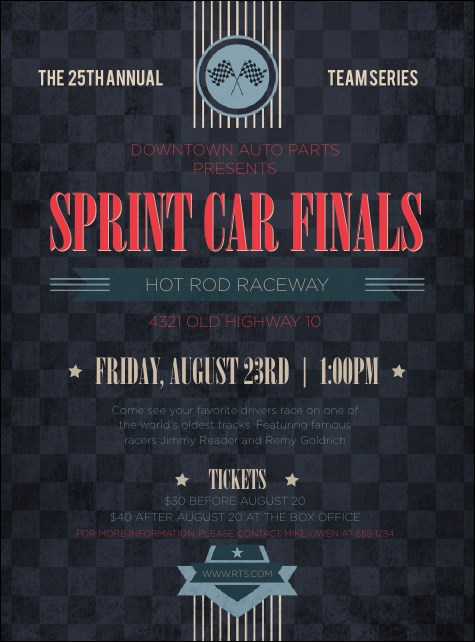 Advertise powerful engines, fast cars, and excited fans when you distribute the Car Racing Flyer in advance. Bold stripes accent this design, whose chequered background and hot red lettering make event information pop. Achieve promotional gold with tickets, badges, and posters from its matching event kit.